If you’re finding yourself in denial about your financial situation, then rest assured that you’re not alone. When money’s tight and the bills just keep on rolling in, it’s so easy just to ignore the situation. But, that’s only going to make things worse. The truth is that your financial situation is only going to improve if you take action. If you just sit back and hope the problem goes away, then you’re in for a big shock. Don’t panic though, there are a few things you can do to get some control back and start to improve your finances. This is the biggie that most of us are frightened of, but it’s really important to know exactly how much money you have coming in each month and how much you have going out. Sit down with your bank statements and start to make a budget, only once you know exactly how much you have available to spend each month can you start to make any progress in digging yourself out of any financial difficulties. Work out exactly how much debt you have, and using your budget figure out how much you extra you can afford to pay back each month. If you can, it’s always a good idea to pay more than the minimum payment as you’ll get the debt cleared much quicker and pay less interest in the long run. If you do find yourself really short initially, then a small loan might be a good idea, just make sure you consider the repayments. Perhaps one of the reasons you’ve found yourself in difficulty is that you had an unexpected bill or expense land in your lap and you didn’t have any funds put aside to cover it. If you don’t have an emergency fund, then it doesn’t take much to tip your finances over the edge. It’s quite scary to read that a quarter of British adults don’t have any savings at all. So when something goes wrong with the car, or the boiler breaks down, those with no savings can quickly fid themselves in financial difficulty. Once you know exactly where you stand with your incomings and outgoings, it’s a really good idea to factor in stashing some money away into a savings account for emergencies. 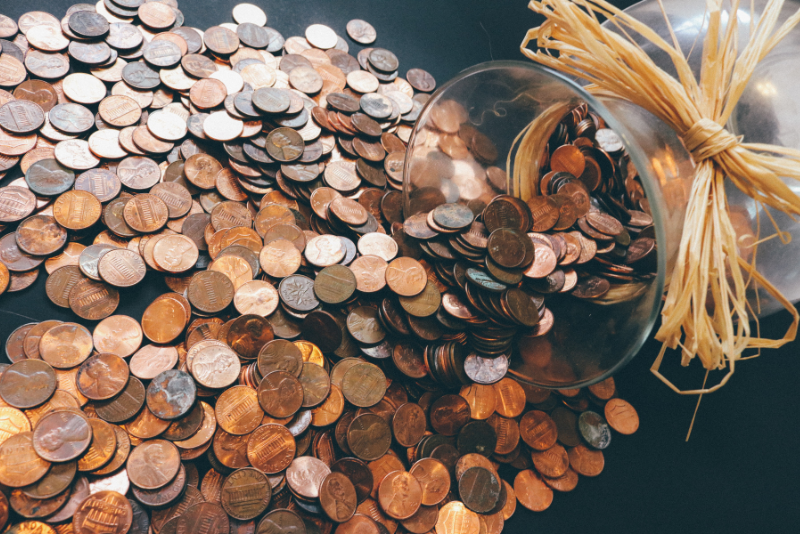 It may take you a while to build up a decent amount, but even just putting away a small amount regularly will be a huge help if you hit a financial emergency in the future. If money’s tight, and you’ve budgeted as much as you possibly can, then you might want to think about trying to make some more money. There are lots of ways you can make more money, depending on the amount of time you have to spare and your existing skills. You could maybe take on extra hours in your existing job, or take on a part-time evening job on top of your existing job. Or, you could think about taking on a side hustle. Side hustles are the things people do on the side of their jobs – things like matched betting, mystery shopping, reselling on eBay or surveys. There are lots of different ways to make money from home these days, so these are great options if you need to make more money but you also need to be at home after work. Spending some time going through your finances carefully and figuring out how to improve them IS scary, but its’ the only way to move things forward. Once you know exactly where you stand, you can then start to make changes.